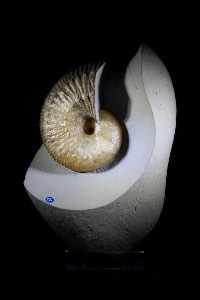 Liparoceras is an extinct fossil ammonite species from the Early Jurassic period of England, and is found in lower Lias deposits. Its name means 'fat head' and this is due to its broad shell. 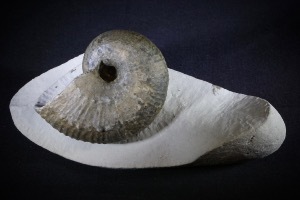 The venter is wide and finely ribbed with no keel and it has two rows of tubercules on each whorl.